Marcy Recumbent Exercise Bike with Resistance ME 709 will offer you 3-in-one benefits, and that is quite fabulous for your home gym. You will get the advantage of cardiovascular benefits, weight loss, and muscle toning at a budget price. It is a space saver recumbent bike that you can easily set in your home at one corner of your bedroom or at your portico. It is sturdy and durable. Moreover, it's a low impact bike you can use for your complete workout. We are sure that you will be!In fact, we have found hundreds of happy users of Marcy me 709 recumbent exercise bike.Smart look, handy 55.5"L x 25"W x 37.5"H dimension, and eight preset resistance levels, it’s quite good an investment for staying fit and fine in budget. Marcy exercise bike models are quite popular. People say they are sturdy. We also found that the heavy-duty steel tube made frame, is excellently durable and promises of good quality resilience. 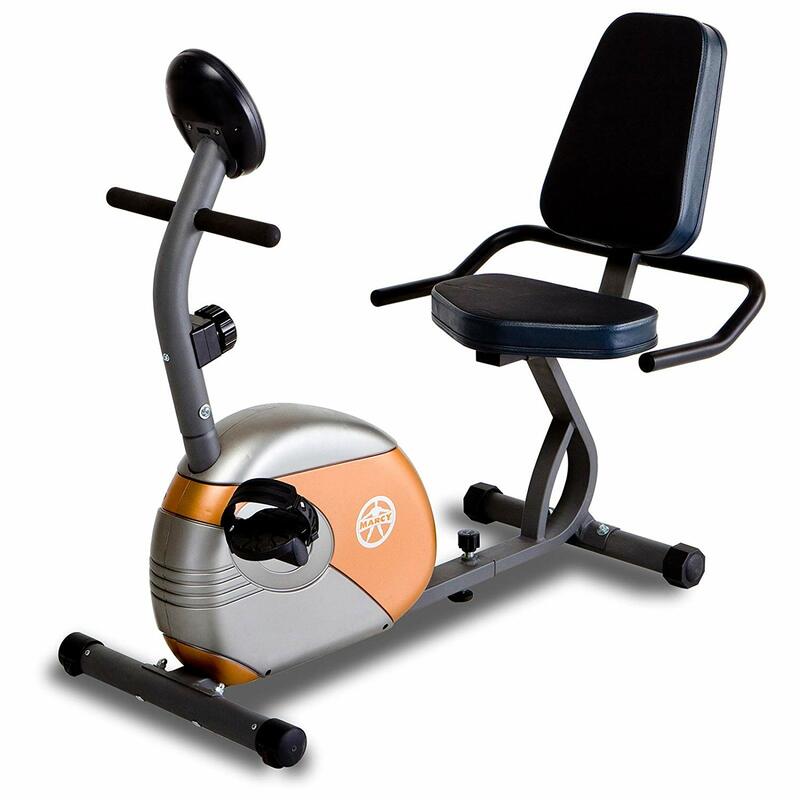 Marcy me 709 recumbent exercise bike will offer you an ergonomic high-density foam seat. It's fully adjustable. Out of all sit down exercise bikes category, it is one of those bikes with safe pedals that even beginners will find comfortable. The display console is truly lovable. We found it attractive and super convenient. 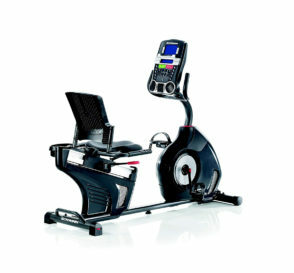 You will get to track your time, distance, calories burned and speed during your workouts on Marcy exercise bike. No matter if you don't have time to go for the gym or jogging outside of your home, this Marcy exercise bikewill help you stay fit and in shape. Increasing your body’s cardiovascular endurance as well as burning calories and losing weight will be completely natural for you with this bike. 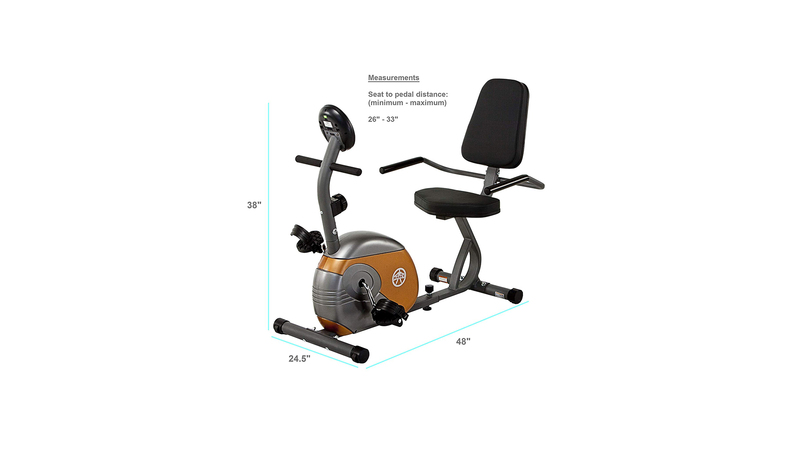 Adjustable Resistance:8 pre-set levels of smooth magnetic resistance are delivered by eddy current, and that makes this Marcy exercise bike a super performer. Workout data tracking: Easy to read computer screen displays speed, distance, time and calories burned, which is a reliable and user-friendly tracking process. Comfortable Padded Seat:The padded seat of the Marcy Me 709 recumbent exercise bikeoffers complete support and comfort while pedaling off those calories. Pedals:Counterbalanced weighted pedals of this Marcy exercise bikewith foot straps will help you to place your feet in the best position fur gaining best balance on the bike. Portability and stability: Transport wheels and a compact design of the Marcy Me 709 recumbent exercise bikeallows for quick and convenient storage make this a perfect piece of exercise equipment for home use. According to Marcy recumbent exercise bike me 709 review, it helps in shedding weight and controlling calorie burning process or better benefits. The bike is covered by 2-year manufacturer’s warranty. Not overall good for tall users. The brand Marcy was found by Walter Marcyan. He was a fitness freak. During 1946, he opened a world class gym in Los Angeles area under the brand name House of Health. After participation in organized bodybuilding competitions,based on his own personal experiences, Walter Marcyanstarteddesigning his strength training equipment, personally built, for his gyms in Los Angeles and in 1959, Walter Marcyan founded Marcy Gymnasium Equipment Company. The brand is an old player in sports and workout gear market and now has become a global brand today. Marcy Me 709 recumbent exercise bike is a safe choice. No matter if you want to lose weight, practice cardio training or you want to restore fitness level after an injury, Marcy Me 709 recumbent exercise bike will never disappoint you. With all versatile features, this recumbent bike is available in budget price. For your home gym, it is a nice option for staying in shape.